Built sometime between 1845 and 1854, the Luther Moses house is a rare example of a Gothic Revival style home built in brick. Luther Moses was a builder of wooden ships. He moved from Ohio City to this lot in 1848. 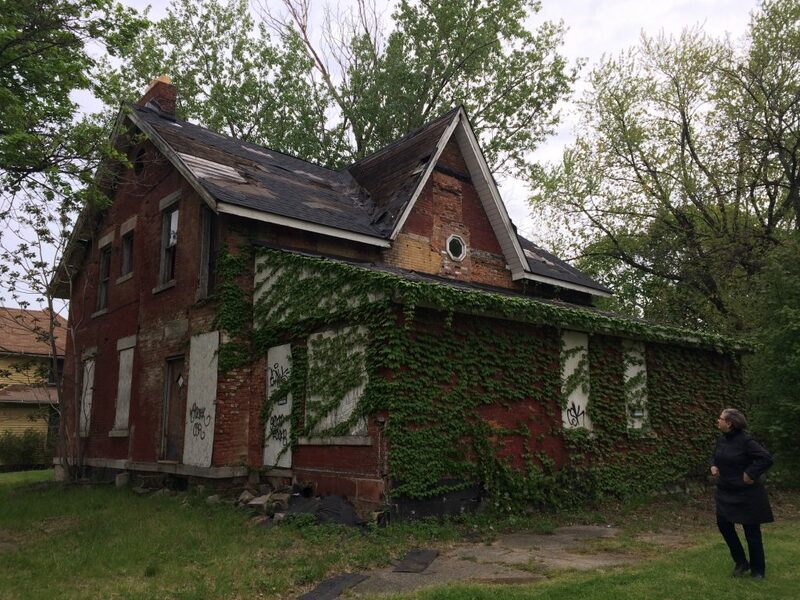 It is especially rare to find a pre-Civil War home on the east side of Cleveland. Originally, the front entrance of the home faced Willson Street (now E. 55th Street). Over the years, changes were made to the home, with an 1852 addition, and in 1876, the entrance of the home was moved to face the newly-platted Lexington Avenue. The property remained a single family home until 1910, at which time it was dramatically altered to become a multi-family home. The house is designated a Cleveland Landmark and owned by the Cuyahoga County land bank. CRS recognized that the house may not survive another winter if left open to the elements and has temporarily sealed the roof. Support from Councilman Basheer Jones has been secured, and CRS has formed a task force to formulate a stabilization plan.